The AIR15 from PreSonus is a versatile and customizable 2-way active sound-reinforcement loudspeaker featuring 1200W of power and enhanced digital tuning functions, well suited for live bands, DJs, clubs, event halls, bars, speaking engagements, and more. The speaker utilizes two amplifiers for the high and low frequency drivers. A 500W (continuous) Class-D amplifier powers the 15" woofer for efficient and clean low end performance, while a 200W (continuous) Class-A/B amplifier powers the 1.35" compression driver for a natural "airy" high end. Both drivers combine to provide 132 dB SPL with a frequency response of 45 Hz to 20 kHz (-3 dB). 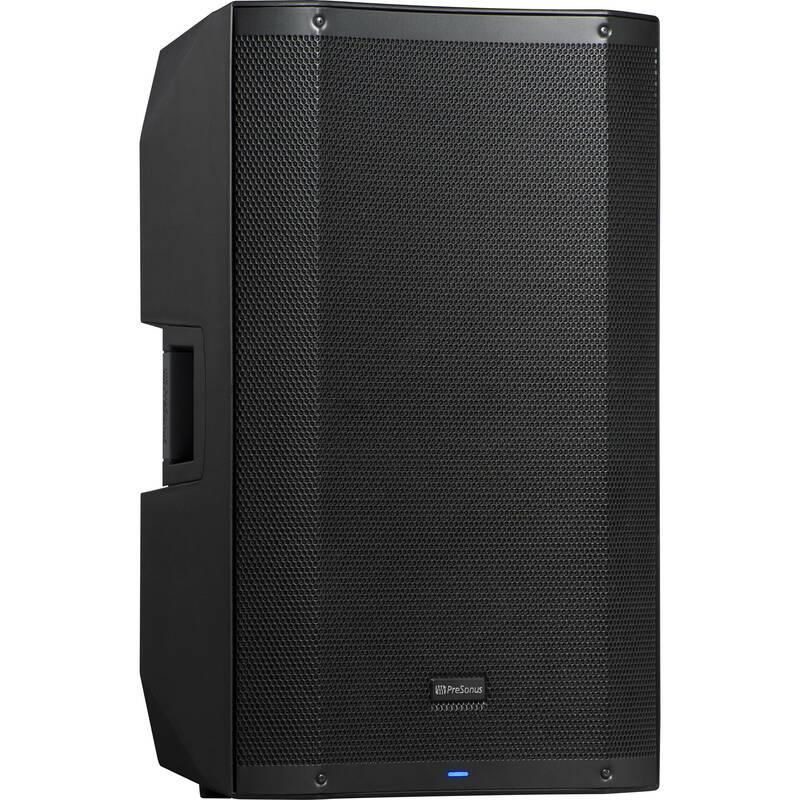 The integrated and easy-to-use digital signal processor (DSP) allows you to customize the loudspeaker for a number of applications including DJ, FOH, Monitor, and Speech presets. Additionally, ±10 dB of treble and bass control allows you to further tailor the sound and compensate for room anomalies. Location presets let you optimize performance for stand and bracket mounting as well as flown installations. The Air15 ships with a power cord. Box Dimensions (LxWxH) 31.0 x 19.5 x 18.5"